Hi there! 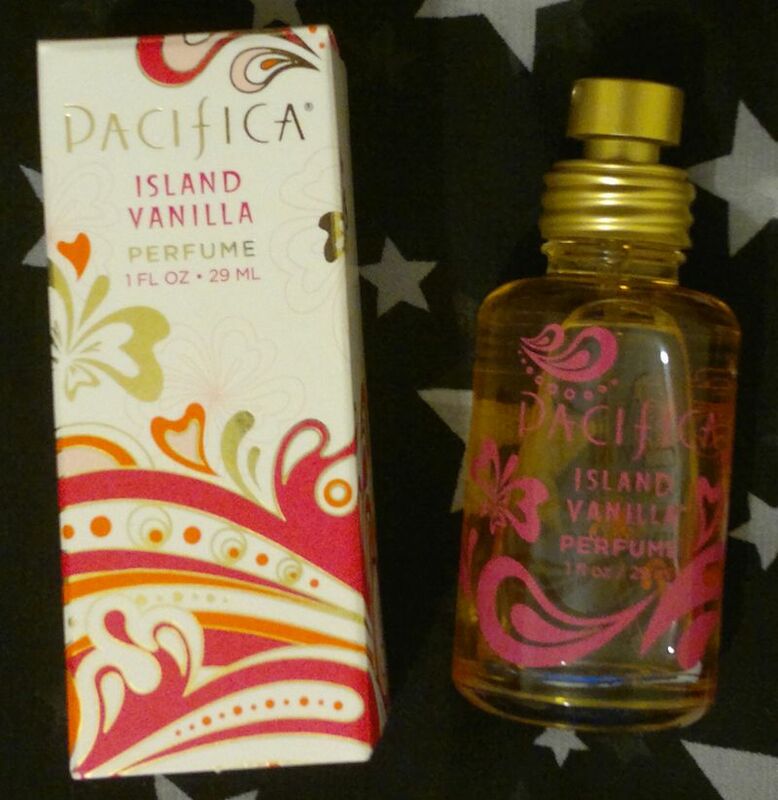 Today’s post is about Pacifica’s Island Vanilla Perfume. 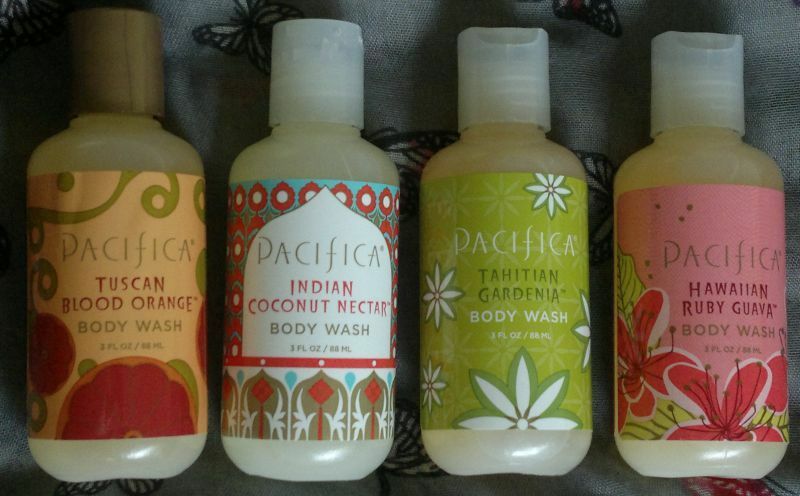 I’ve already tried quite a few Pacifica products – some were good, some weren’t. So now I’m reviewing their vanilla fragrance! But before we get to the actual review, let me say a few words about the brand. Pacifica is a company from Oregon, USA. They specialise in vegan and cruelty-free products. They sell body care products, candles, fragrances and cosmetics. If you’re in the UK, you can find Pacifica products at Holland & Barrett’s. Onto the fragrance! Pacifica’s Island Vanilla is based on Tahitian vanilla – which is said to have fruity and floral nuances – and bourbon vanilla – the ultimate “sweet treat” vanilla. I think this vanilla fragrance is really nice. It smells sweet and cuddly, and it has a youthful feel to it. It’s not the most sophisticated fragrance, but it’s pleasant and inoffensive. I also think it’s a reasonable (but not perfect) replacement for Yves Rocher’s stellar Bourbon Vanilla fragrance which seems to be out of stock almost all the time. Pacifica’s Island Vanilla Perfume is available as 29ml spray and 10ml roll-on. Pacifica also offers vanilla-scented candles and body care products! Hi there! 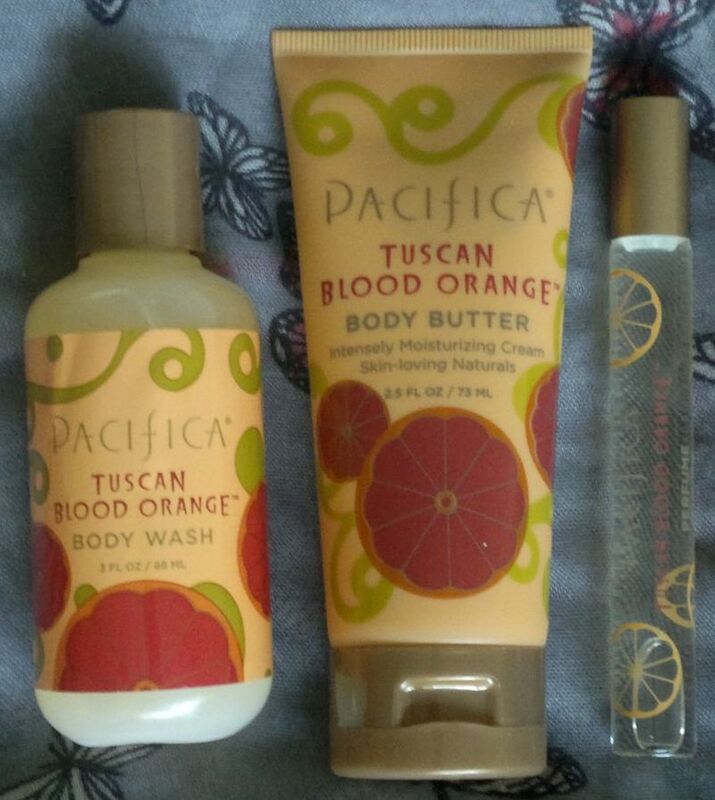 Today’s post is about Pacifica’s Blood Orange Body Wash, Body Butter & Perfume. These products were part of a gift set which I picked up for next to nothing (clearance). I’ve now tried these products, so let me tell you if they’re any good. Let’s start with the body wash! I really liked this one. It lathered up nicely and it cleansed my skin well without being too harsh. I also liked the boozy blood orange fragrance. The body butter is… well… not a body butter, but more of a lotion. The product’s also nowhere near as moisturising as it claims to be. However, the main issue is the “fragrance”! This body butter doesn’t smell as bad as Pacifica’s Indian Coconut Nectar body butter, but it still smells unclean (a mix of night sweats and candied oranges). We (my husband and I) use this body butter as a foot lotion! I’ve already reviewed the perfume – and you can read the full review here. But to summarise my thoughts… this perfume isn’t a summer fragrance. It smells like a mix of oranges, strawberries, marmalade and a hint of carrot. I think it’s an autumn fragrance that would go well with pumpkin spice scented body products! I don’t think I’ll be buying any of these products again. I do like the perfume, but I don’t love it. The body wash is nice, but it’s not nicer than the shower gels I can find in supermarkets or drugstores (or bargain stores). Hi there! Today’s post is about Pacifica’s Tuscan Blood Orange Perfume. But before we get to the review, let me tell you a little about the brand! Pacifica is an Oregon-based company that specialises in vegan and cruelty-free beauty products. Yes, all their products are vegan and cruelty-free! 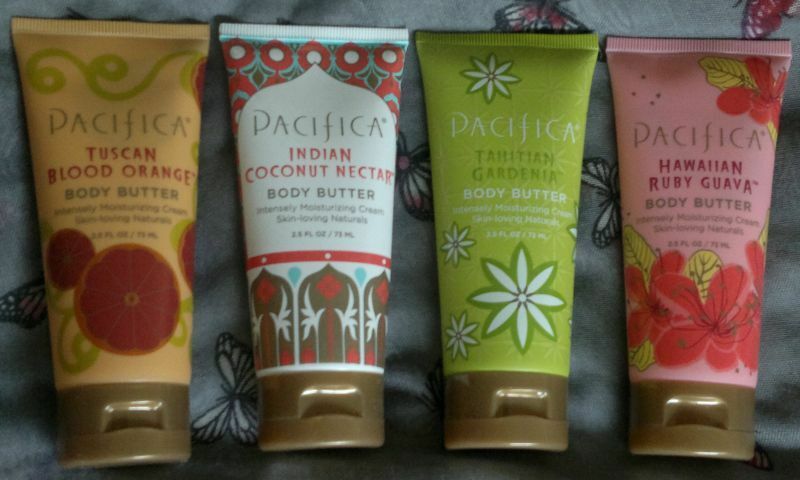 Pacifica started out with a number of fragrances, fragranced body products and candles. But now they also do nail polish, colour cosmetics, skin care and hair care. Great stuff! Back to the fragrance! Pacifica’s Tuscan Blood Orange Perfume contains the following notes: blood orange, strawberry, raspberry, mandarin and sweet orange. When I bought the fragrance, I thought I’d be getting a fresh, sunny and juicy summer orange fragrance. However, the fragrance isn’t a pure orange fragrance. The strawberry note is quite strong, so it takes away from the freshness. I would describe this fragrance as a sweet mix of orange, strawberries, marmalade and a hint of carrot. Tuscan Blood Orange is definitely an autumn fragrance, maybe even a Halloween or Thanksgiving fragrance! Whilst I think that Tuscan Blood Orange is quite nice, I don’t love it, and I won’t be buying another full-size bottle. 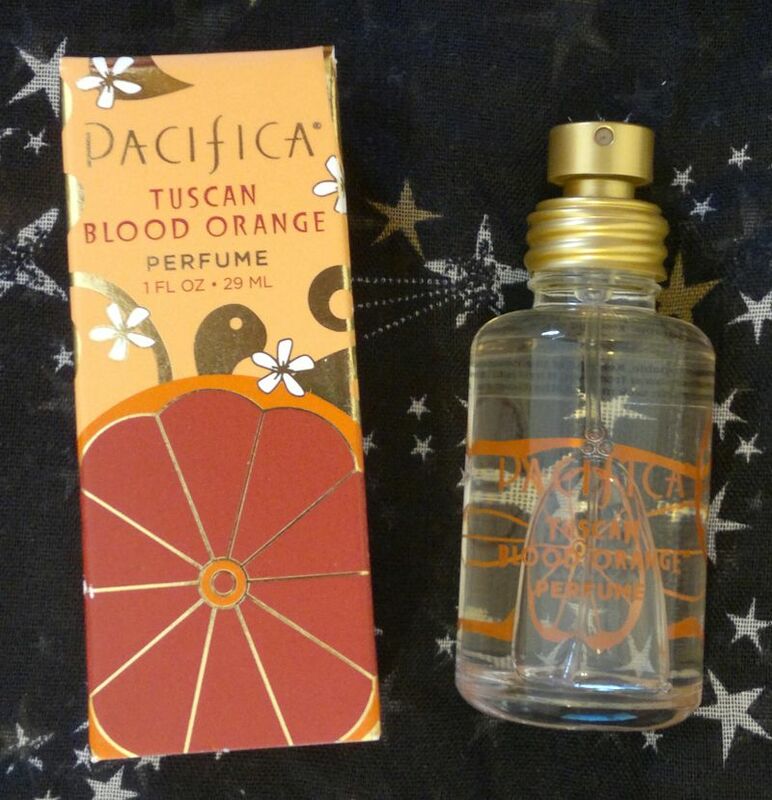 If you’re interested, Pacifica’s Tuscan Blood Orange Perfume is available as 29ml for about £20. Hi there! You might know that I’m not the biggest fan of the fragrance and the flavour of coconuts. So I wouldn’t have chosen these coconut-scented products for myself. However, these products were part of a humongous gift box (no, not a set – it was a huge box) which was incredibly cheap – so I just had to have it. 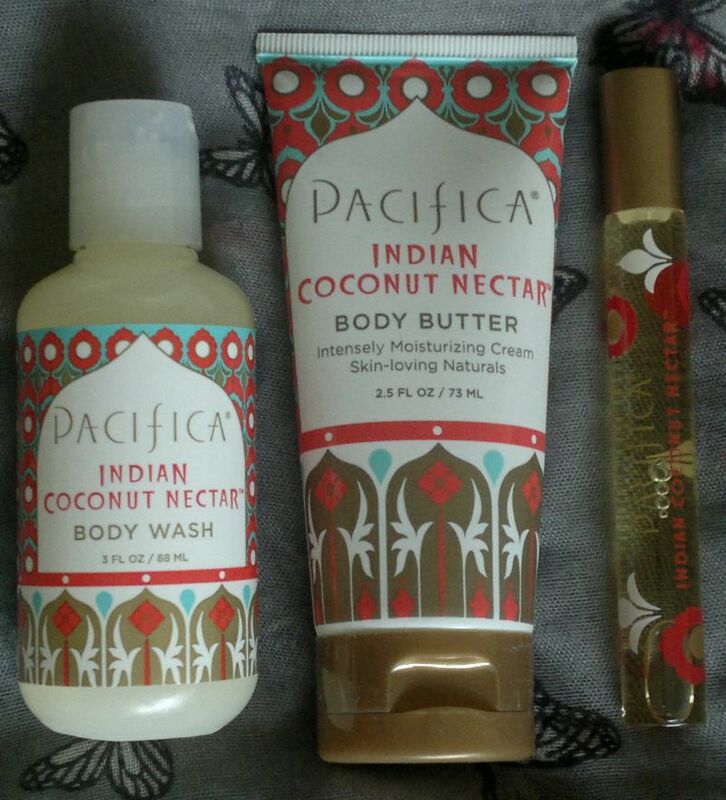 🙂 Now let’s look at Pacifica Indian Coconut Nectar Body Wash, Body Butter & Perfume. The Body Wash is quite nice. It smells like coconut and vanilla, but it doesn’t have this sickly sweet scent which many coconut-themed products have. The body wash lathers up nicely and it feels good on my skin – it’s not drying at all. Well done, Pacifica! The Body Butter is a weird product. First of all, it’s not a butter but more like a body lotion. And it’s brown. It doesn’t stain. But for a moment I really thought they might have accidentally filled this tube with a self tan lotion. 😀 I think this product is very moisturising, but the fragrance is totally off. I looked up reviews elsewhere, and about half the reviewers noticed the weird scent too. Most of these guys (or rather gals) found the scent plasticky, and someone likened it to furniture polish (not that far off). I’d describe the scent as that of a wet gym towel. Unfortunately the scent is also quite long-lasting – and no, it doesn’t get better. The Rollerball Perfume is excellent. When I roll on the fragrance, it’s quite strong and harsh at first. But that’s just for a few seconds. And it develops into a really beautiful summer vanilla fragrance. It’s tropical, exotic, sweet, warm and creamy. Yes, the coconut is definitely noticeable but it doesn’t smell cheap. And (fortunately) the vanilla note is stronger than the coconut note. The fragrance stays close to the skin, but it’s really long-lasting – twelve hours plus! Based on my experience with these products, I’d recommend the fragrance and the shower gel. In regards to the body lotion, if you can sample it in-store, you should do it! Hi there! I’ve been buying lots of lip care products lately. And Pacifica’s Vanilla Hibiscus Color Quench All Natural Moisture Lip Tint is about to become a beauty staple. So, let’s start. This lip tint is 100% vegan and natural. It contains coconut oil, cocoa butter, vitamin E and a few other natural ingredients. I love how soft and moisturising this lip tint feels. It’s really lovely! The sheer tint isn’t my favourite – it’s just a hint of a pale pink with a pearly shine. But it doesn’t annoy me, so it’s alright. 🙂 However, the flavour is absolutely delicious – like vanilla cookie crumbles. Yummy! Priced at $7 (Pacifica web site) or £5.49 (Ethical Superstore) this isn’t the cheapest lip balm/tint. However, you get a lot of product for your money. And there’s the added bonus that Pacifica‘s products are vegan and cruelty-free! Now on to my favourite Pacifica products: Fragrances! 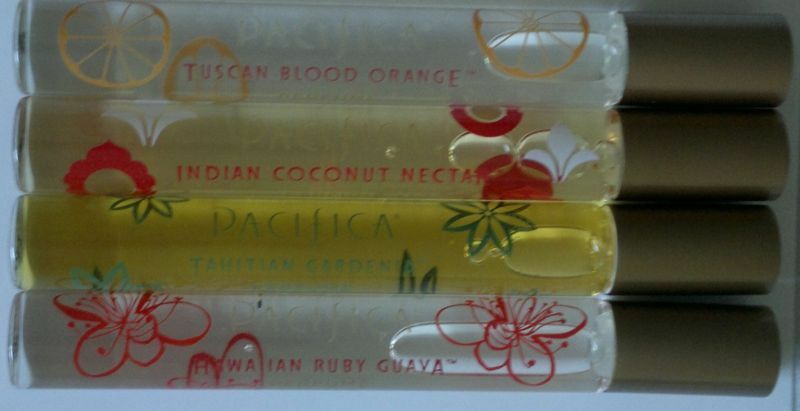 My love for Pacifica started to blossom when I discovered their wonderful fragrances about 5 or 6 years ago. At the moment I have at least 10 perfume sprays and roll-on perfumes; some of them are in the photo below. I will review the different products in more detail soon. If you’re interested in Pacifica products, you can buy them online from their web site pacificabeauty.com. If you’re UK-based, you can purchase Pacifica products from Holland & Barrett and shopvegan.co.uk.